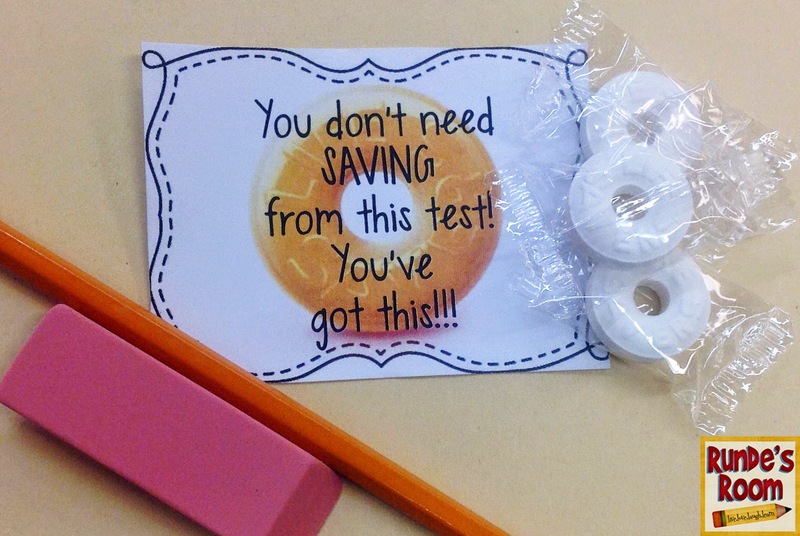 Our testing doesn't begin until the end of May, but I know many of you are just about to start testing season (if you haven't already), so I thought I'd share some printables I made to encourage my students throughout the process. 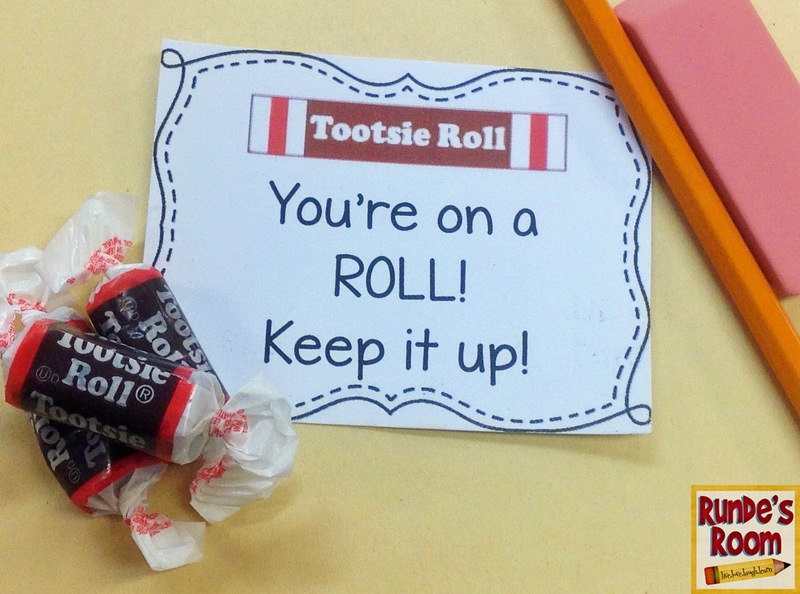 Let me begin by saying I'm not a huge fan of rewarding with food (in the classroom or at home) but once in a while, a little treat can make the day a little more sweet. I've done these little testing encouragers for a while, and I've found some wonderful ideas online, but last year was the first year I made all of my own. 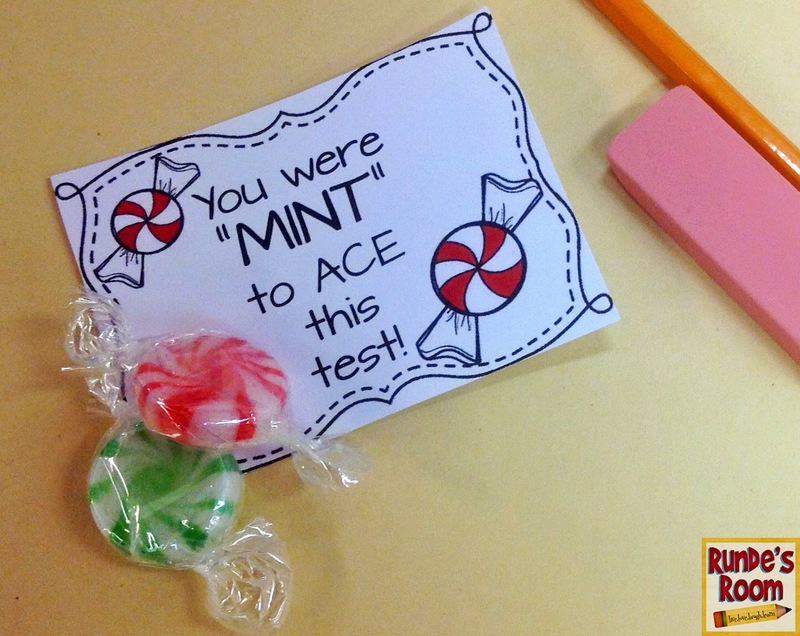 My students have 6 individual tests (2 math, 2 reading, 2 writing) so I made up 6 little printables for them with the matching candies. I was able to get all these candies from the Dollar Store, and 2 bags of each were more than enough for my class. 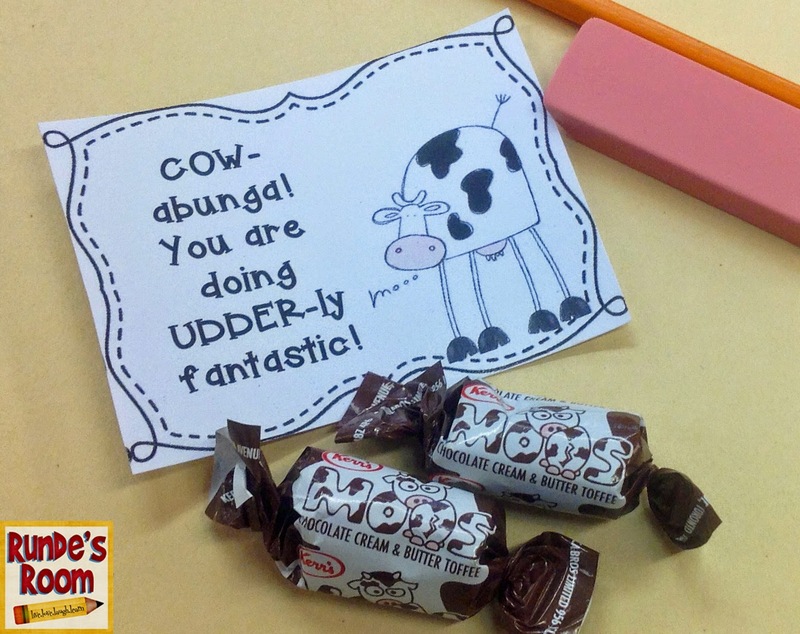 Before the students came into the classroom each day, I had their testing booklets out, a new sharpened pencil and eraser on their desk, and one of the little treats set out. I also like to display an encouraging quote over the whiteboard during the test, as well. I've uploaded a copy of all these encouragement notes to google docs if you'd like a copy of them. Click HERE or on the picture to get the link. 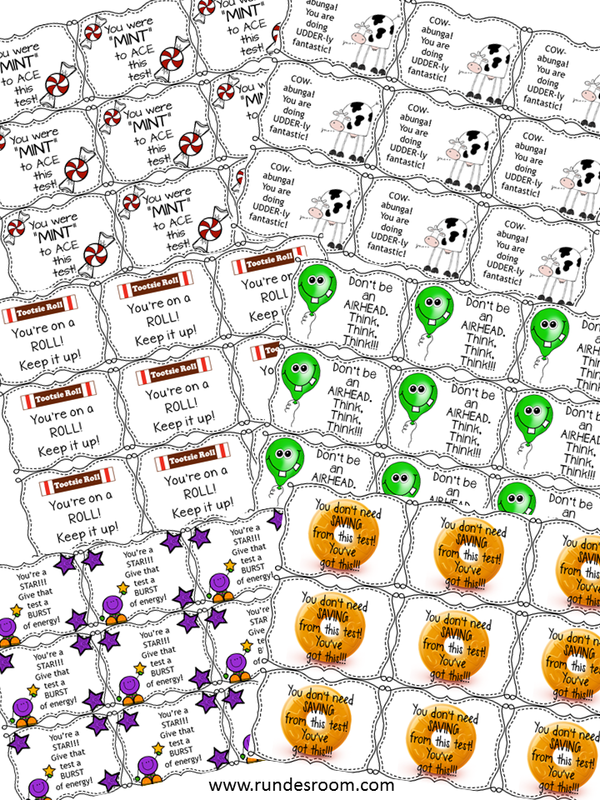 There are 12 cards per sheet for easy printing. (Since my two oldest girls are also in a testing year this year, I'll be slipping these into their lunch bags, as well). 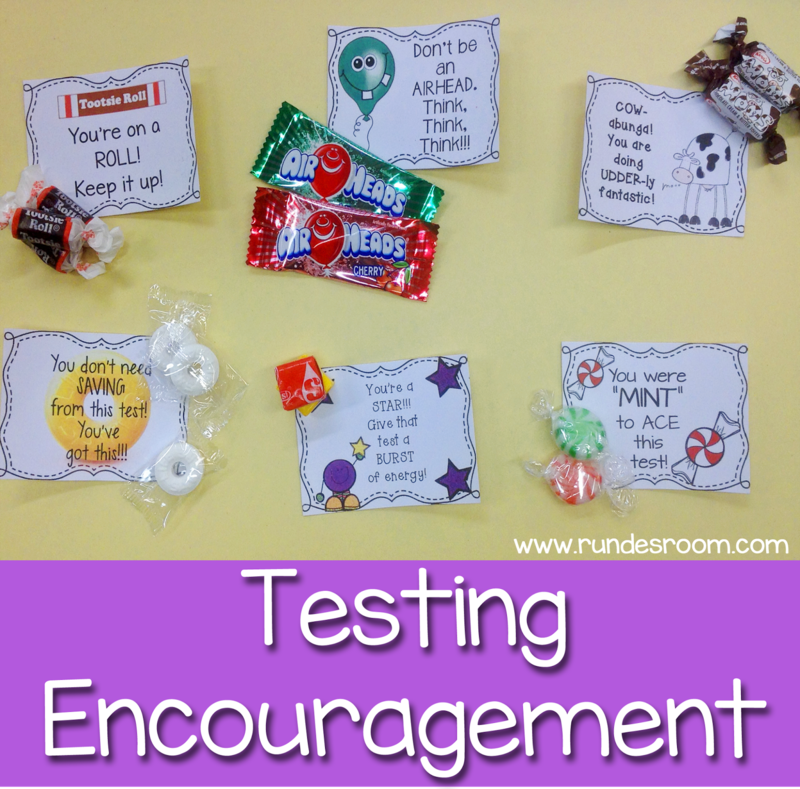 I also have a pin board of Testing Encouragement Ideas you can see HERE. And if you're looking for a little fun to celebrate testing being over (yay! ), or even to calm the nerves before testing, I've made a great little drama circle all about "testing day" (or week ... ugh). You can take a peek at it HERE. Thank you!! 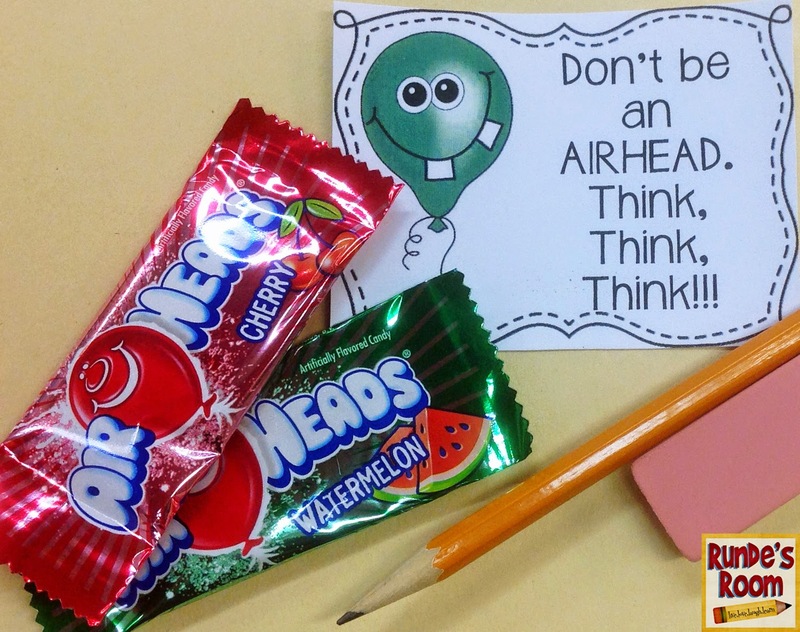 Students need a little burst especially with the jump in expectations. These will be great to support them- thank you! Thus is awesome. My ESE students just loved things like this. Thank you so much! 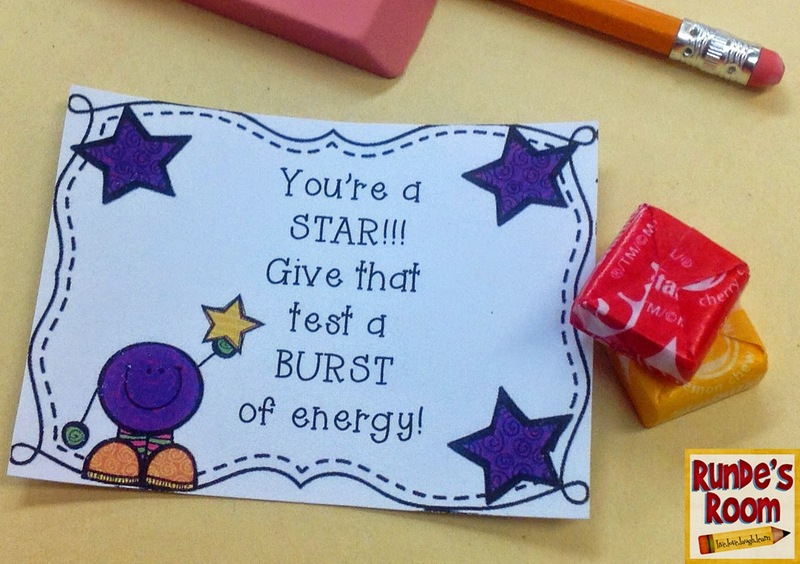 My 2nd graders have a 5th grade buddy class, they are giving them an encouragement gift for the two days of testing. This is perfect! Thank you.